Radar and laser speed camera detectors warn drivers when they are approaching 'LIVE' in-use radar and laser based speed cameras, typically mobile speed camera locations. They achieve this by detecting the various bands and beams that are emitted when Police and road safety team operators are using their radar and laser guns. While mobile cameras can and do use radar or laser technology, the vast majority of mobile speed cameras these days are laser based. Laser is the preferred method as the operating range is far greater, typically up 1 mile away, rather than that of radar which operates over a distance - typically 200-300yards. Radar, however is used in all live in-use Gatso speed cameras, so it is possible when using a radar detector to tell you if a Gatso camera at the roadside is live or not. It is worth noting that when using a radar detector on UK roads, you may receive a lot of false alerts from various sources. These include automatic shop doorway sensors - found at supermarkets and petrol station forecourts, traffic lights and traffic signals and even from other vehicles using adaptive automotive cruise control. However, to limit these false alerts it is possible to turn off radar bands/frequencies on detectors that feature radar detection. What are the limitations of a radar and laser detector? Ten to fifteen years ago Gatso speed cameras were the number one speed enforcement camera in use in the UK and having a radar detector was therefore extremely useful. These days however, and with advances in technology, the latest speed enforcement devices are NOT using radar detection. For example SPECS and VECTOR 'Average Speed Check' cameras use digital time stamped photos at two different points on a section of road to compare your average speed between them. 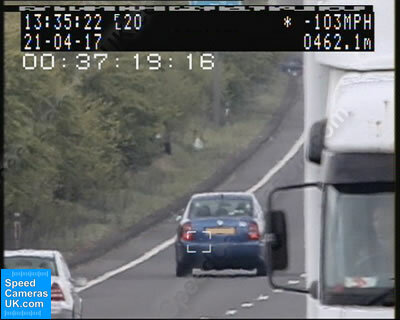 While a radar and laser detector will alert you to mobile speed camera locations, it will not warn you to every fixed speed camera in use in the UK. When buying a speed camera detector you need to consider whether you want to receive alerts to speed cameras that do not use radar and laser. Speed cameras that are undetectable via a radar/laser detector include Truvelo, SPECS, VECTOR, HADECS 3 and Truvelo D-Cam. If you want to detect all speed cameras (fixed and mobile) via a dedicated speed camera detector you will need to buy a device that incorporates a GPS database within the device; the best speed camera detector to offerfull-protection (GPS, radar and laser) is the Snooper 4ZERO Elite BT. Alternatively, if you already own and use a sat nav with a speed camera database subscription, then you could consider adding a radar and laser only detector to your sat nav. You would then have effectively the same warnings to speed cameras as a dedicated speed camera detector. What Radar and Laser detectors are there to buy? We sell a selection of radar and laser detectors including the Snooper 4ZERO Elite BT. The Snooper 4ZERO Elite BT (pictured left) is a great radar and laser detector. In addition you can optionally use the Snooper 4ZERO as a GPS detector by registering the product with the manufacturer and subscribing to their speed camera GPS database. The Snooper 4ZERO does not require subscription to work; it will detect radar and laser bands without paying any subscription fee. 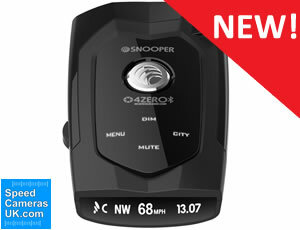 To view/buy the Snooper 4 ZERO Elite BT click here. How does a Laser Detector work? Laser speed camera detectors warn drivers when they are approaching Laser based speed cameras. Laser usage in the UK is generally limited to mobile handheld devices, that the Police use on the roadside or from bridges. 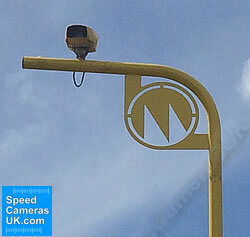 In 2007 Arrive Alive speed cameras in north Wales caught 55,704 offenders. Another 5,610 were caught by officers with hand-held laser devices. A Laser speed camera emits a narrow, focused Laser beam consisting of a series of pulses which are reflected back from the target vehicle. The times for these pulses to return are measured and from these the speed of vehicle can be calculated. How does a Radar speed camera work? Gatso speed cameras and Radar guns operate by emitting a radio signal at a set frequency (e.g. K Band) which is then reflected by the target vehicle. The reflected signal frequency is shifted in direct proportion to the vehicles speed and this shift is used by the Radar equipment to calculate the vehicles exact speed. A radar signal is conical in shape much like a torch beam. At 200yards, the normal operation range of a radar gun, the signal is a wide as a dual carriageway. Most of the signal therefore, goes past the target and on up the road - reflecting off trees and houses etc eventually becoming 'radar scatter'. Radar detectors are extremely sensitive radio receivers tuned to these frequencies and can detect very small particles of 'radar scatter' at up to two miles away. Question: Is there any advantage to buying and using a radar and/or laser detector? As such devices (radar/laser based) can only be used in known accident blackspots and as such are recorded in the GPS database? Or, can police radar/laser devices be used in “unknown” locations? 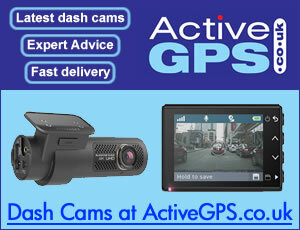 Alerts to mobile speed camera handheld radar guns, in addition alerts to live radar based fixed cameras e.g. Gatso speed cameras. False alerts via automatic shop door sensors e.g. petrol stations doorways or other radar based roadside devices. Alerts to mobile speed camera handheld laser guns. None, you shouldn’t get any false alerts when using a laser detector. The police and the safety camera partnerships across the UK, should be using known or dedicated accident blackspots which are recorded in the GPS database. However, this is not always the case. With detectors such as Snooper 4ZERO Elite BT (featuring radar and laser detector) if the alerts become too frequent and annoying you can simply turn off the radar band. If you buy a speed camera detector without a radar/laser detector you can’t turn it on! Pictured below: Snooper 4ZERO Elite BT - GPS database with radar and laser detector all built-in. Question: I am thinking about purchasing a Radar/Laser detector but was wondering in the UK what mobile cameras are used the most at the side of the road or from vans on bridges etc? Radar or Laser? If its laser then I hear that detectors are a waste of time because you are target =ed and by the time it detects you have already been caught. Is that correct? Answer: Radar and Laser are both used in the UK, however Laser is far more frequently used than Radar. You are correct to stay that a Laser detector can be too late in warning. My recommendation is to buy a speed camera detector with a GPS database and then subscribe to the database. Some GPS based speed camera detectors such as the Snooper 4ZERO Elite BT also include Radar and/or Laser detection. It is 100% legal (October 2017) to use a Radar and/or Laser speed camera detector in the United Kingdom to warn of all speed camera locations - fixed and mobile. However the legality differs from country to country in Europe. For example it is understood to be illegal in France, where the Gendarmerie (French Police) have been known to make motorists drive over their Radar and Laser detectors! For further information please visit our Speed Camera Detector legal page.